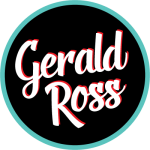 A longtime mainstay on the uke scene, Gerald Ross can usually be found playing and teaching at a workshop, camp, festival, summit, retreat, or gathering somewhere across the United States or Europe. 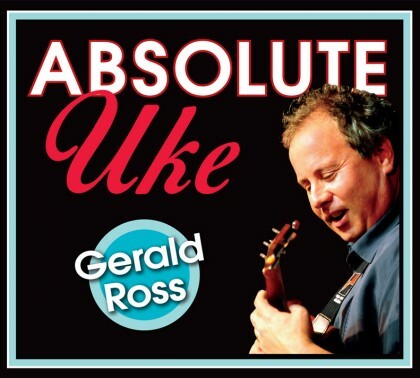 Despite his busy schedule, Ross (who’s also proficient on guitar and lap steel) somehow finds time to record, and Absolute Uke, his sixth uke album, is a textbook showcase for his engaging style and crafty arrangements. Absolute Uke offers 14 percolating instrumentals of familiar jazz standards, Latin-flavored numbers, and show tunes — most feature Ross’ own genial guitar accompaniment, while three of the tracks are for solo-uke excursions. Jazz fans will immediately recognize the changes on songs like Billy Strayhorn’s “Take the ‘A’ Train” (a staple of Duke Ellington’s band), swing classic “Rose Room” (popularized by Benny Goodman’s Sextet), and George Gershwin’s “Sweet and Lowdown,” a rollicking piano tune that translates amazingly well to our favorite four-string and finds Ross at his fleet-fingered best. 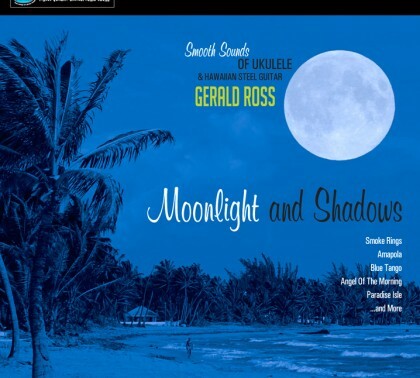 Of particular note is the Latin-tinged fare: Antonio Carlos Jobim’s bossa-nova smash “Wave” sounds as if it were written for uke, while Manuel Ponce’s beloved 1912 composition “Estrellita,” arranged here for solo uke, positively glows in Ross’ capable hands. The breezy “You Belong to My Heart,” based on a Mexican bolero, features a nifty, relaxed blend of single-string runs and chord melodies. 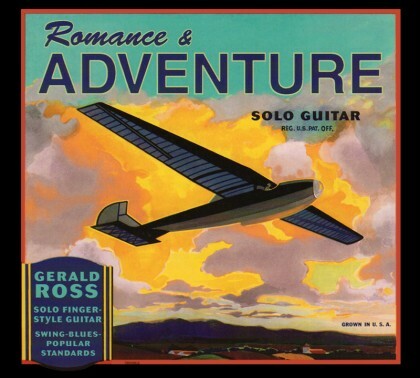 Elsewhere, Ross turns “Matchmaker,” from Fiddler on the Roof, into a delicate and melancholy waltz, while the popular fiddle tune “Westphalia Waltz” lopes merrily along. All too often, standards arranged for ukulele can sound like novelties or thin approximations. But Ross’ arrangements sound totally organic, conveying the true spirit of the tunes while displaying his impressive uke technique. 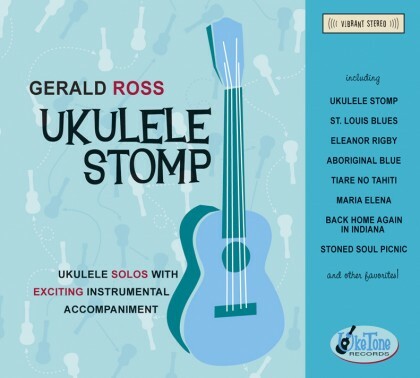 Gerald Ross sets a high bar for Uke players. 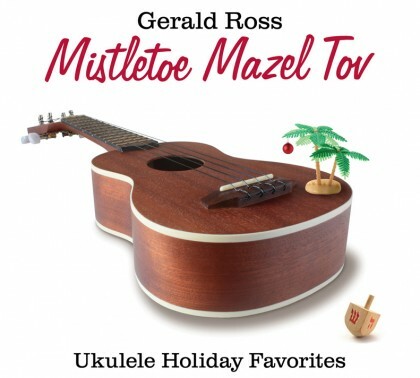 You may be surprised that you are listening to music played on a ukulele. 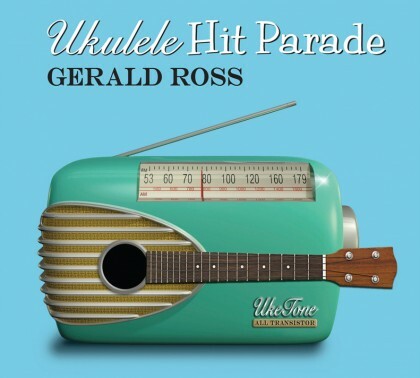 Gerald does things on a Uke not very often heard. He plays Jazz and he plays it very well. This album swings. Sample a couple of the tunes like TAKE THE A TRAIN OR SEPTEMBER SONG. Absolutely beautiful! If you like uncluttered arrangements that are pure and elegant, you’ll love this album and play it over and over, it’s that good. 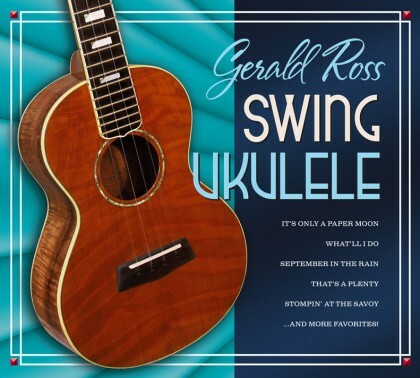 If you are a uke player you already know about Gerald Ross. His videos on YouTube are worth listening to even if you are not a player.